The Beatles were in Southport for a series of six nights at the Odeon Cinema when they also took part in The Mersey Sound, a documentary made by Manchester-based BBC producer Don Haworth. Haworth had first met the group on 21 July 1963 to discuss his idea to capture the spirit of Mersey Beat on camera. He signed a contract with Brian Epstein on 6 August, granting him exclusive access for a time. Shooting took place in Southport, Manchester and Liverpool between Tuesday 27 and Friday 30 August. On this first day The Beatles were filmed at the Little Theatre on Hoghton Street, Southport, performing on stage without an audience. Haworth knew that if he filmed a real concert the sound and the fury from the fans would have made the footage unusable. Filming began at 9.30am. 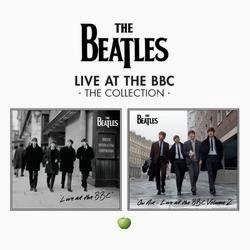 The Beatles performed versions of Twist And Shout and She Loves You, while wearing their grey collarless suits. They then changed into black collarless suits and performed Love Me Do, with a curtain behind them to suggest a different location. Haworth later edited in footage of fans from The Beatles' concert on the previous night at the Odeon. 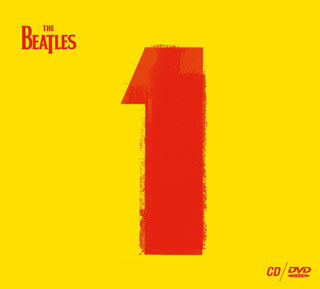 In the final cut, however, the EMI recordings of the songs was dubbed onto the footage in place of the live audio. On the second day, the filming took place in a dressing room at the BBC's Dickenson Road studio in Manchester. They spoke about their past, future plans and their belief that the present beat music boom wouldn't last for ever. They were also shown applying make up and waiting in the wings their instruments, in a sequence which was intended to precede the 'concert' footage filmed the day before. The BBC's first north of England television studios were situated at the corner of Dickenson Road and Wilmslow Road, Manchester, in the former Dickenson Road Methodist Church. The building was demolished in the late 1960s. For the third day of filming, The Beatles were filmed in their home city Liverpool. Two locations were used. The first was aboard a ferry crossing the Mersey from Liverpool Pier Head to Wallasey. They were filmed on board signing autographs and meeting fans. Following this they were taken to Speke Airport - later renamed Liverpool John Lennon Airport - where they pretended they were arriving back in England by descending the steps of an aeroplane. On the fourth and final day, filming took place outside 10 Admiral Grove, Liverpool 8, Ringo Starr's family home. Starr was filmed leaving the house through the front door, being crowded by a horde of local children, and leaving in George Harrison's open-top sports car. Also present were John Lennon and Paul McCartney, although footage of them from this day wasn't used in the final edit. Afterwards, Haworth filmed a scene in which Starr walked alongside a row of women sitting underneath hairdryers in the salon at the Horne Bros clothes store in Lord Street, Liverpool. The Mersey Sound was first aired on Lennon's 23rd birthday, 9 October 1963, from 10.10-10.40pm, in the London and northern England regions. It's first nationwide broadcast was on 13 November 1963 from 7.10pm.